Cinema Bog Ecological Reserve is located beside Highway 97, 28 km north-northeast of Quesnel and 0.5 km north of Cinema. The ecological reserve is 68 ha in size, and protects accessible and diverse bog habitats containing many plants at or near their southern limit of distribution. The ecological reserve occupies the level bottom of a shallow north – south trough which was probably an ancient meltwater channel. The ecological reserve is situated on the Fraser Basin, a drift-covered area of low relief lying below the general surface of the Interior Plateau. The ecological reserve consists of a raised bog that drains both to the north and south. The ecological reserve consists of treeless bogland surrounded by bog forest which is dominated by black spruce. An exceptional diversity of sedges has been noted, as well as several species of mosses and lichens. The western portion of the ecological reserve has had logging activity and includes an old sawdust pile. The primary role of Cinema Bog Ecological Reserve is to protect accessible and diverse bog habitats containing many plants at or near their southern limit of distribution. Drainage changes resulting from proposed commercial peat extraction adjacent to the ecological reserve. Reduce the size of groups or initiate a system of permits to reduce impacts to vegetation. • ecosection Contributes minimally to the representation of the very poorly represented Quesnel Lowland Ecosection (0.75%); the ecological reserve contributes only 1.7% of the overall representation of this ecosection. subzone/variant Contributes minimally to the representation of the poorly represented SBS dw1 (1.29%); the ecological reserve contributes only 1.34% of the overall protected areas system representation of this variant. 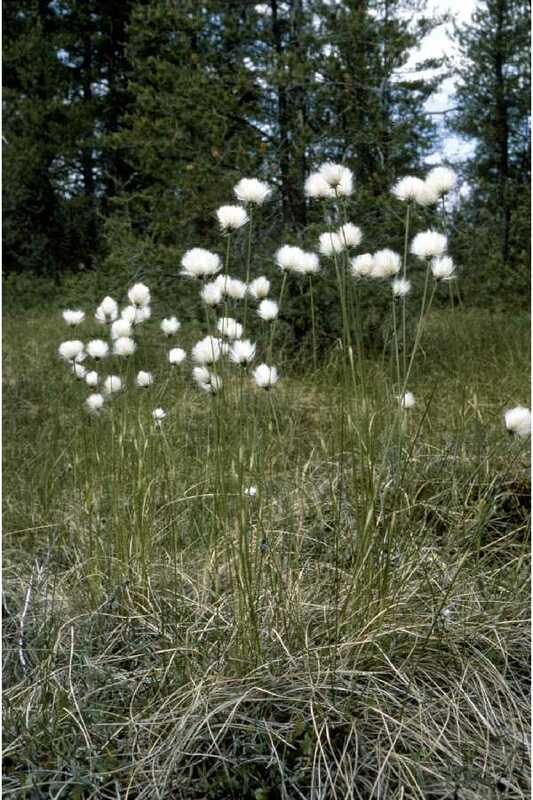 Special Feature Rare/Endangered Values X Red-listed blue-sheathed cotton grass. Relationship to Other PAs X One of 148 ecological reserves established to protect natural ecosystems and phenomena for research and education purposes across the province. Vulnerability X The Conservation Risk Assessment Process identified 2 risk factors (the shape and the size of the ecological reserve) for the ecological reserve and rated them as highly significant. Four stressors/threats were identified for the ecological reserve: commercial peat moss was rated as medium significance; petrochemical spill/potential, roadways and railways were rated with low significance. Photo belowfrom Robert H. Mohlenbrock @ USDA-NRCS PLANTS Database / USDA NRCS. 1995. Northeast wetland flora: Field office guide to plant species . Northeast National Technical Center, Chester.